25 years, from Boca Raton to Hollywood"
Lavish Fort Lauderdale Beach Home in the Sand. Rock Star. Over 4,000 Sq Feet of Living Space. 4 Bedrooms 4 Bathrooms. Gorgeous Beachfront. Inviting Swimming Pool. Very Special Luxurious Property. 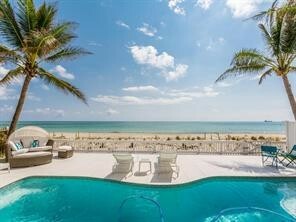 To View This Direct Oceanfront Home Please Call Mark Meyers for appt. 954-914-6770.